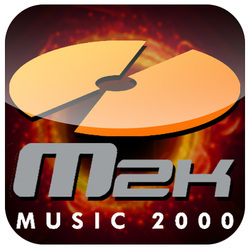 An application that we have created with Music 2000 (M2k) to make their music more accessible and to allow you to stay up to date with Music 2000's ministry activities. 2. Link to music on YouTube- For songs where we have music video clip on YouTube, this app provides you with a convenient mean to access those video. 3. Custom lyrics arrangement - This app allows you to arrange the verses, choruses, coda, bridge, etc. We hope that this and the ability to export and create slides will assist you deliver God glorifying music in worship services. 5. Lyrics & slides export - You can export (via email) the lyrics in plain text format and the pdf or pptx slides. 6. News - You can follow our ministry activities through the live news feed.